Now that the 21st Century is officially well under way with the New Year just past the corner, weve all probably heard something or another about this new breed of products taking the world by storm. You know, that fascinating group of products that promise to meet our needs as individuals, the products that are made *special* to each and every one of us, like a snowflake, no two being the same. These products are apparently customized for each person, who buys them, by each person who buys them. These are the products that fall into the buzz category de-jour of being "mass customized". Mass customized products, or products that are, literally, made to order are subtly, yet profoundly different than their Henry Ford-like "one size fits all" counterparts. As an example, there are a couple ways that you can go about buying a computer these days. One way (the old fashioned way) is to get in the car and go to the store. At the store, there will be a whole bunch of computers to choose from. You pick the one that, more or less, has what you are looking for and you buy it. Done. The new way is to leave the car keys on the table and jump on to the, you guessed it, Internet. Here, you can go onto the Dell.com site and build a computer by your very self that has only what you want, nothing more, nothing less. Want more RAM? No problem, add more RAM. Need a DVD instead of a CD-ROM? Not a worry. Got to have that extra disk space for all those MP3s? Not a concern, just choose it. With only a few clicks of the mouse, you get the exact computer you want, not what just happened to be in stock. But, how can Dell have so many versions of one computer? Simple; they dont . This is all possible because you are buying a computer that does not yet exist. Rather than sitting on a shelf, waiting for a customer to take it home, the computer you buy at Dell.com only exists as a bunch of parts that someone at Dell is going to build, sell and ship to you in less than 24 hours. It sounds a little complicated, but it really is very simple. Customization or Mass Customization (a paradoxical misnomer in this writers opinion) is a way of building and selling products such that the product features are broken down and offered to the consumer as choices. For example, if Dell has twenty or so product features that make up every computer (RAM, disk space, processor speed, modem, operating system, etc. 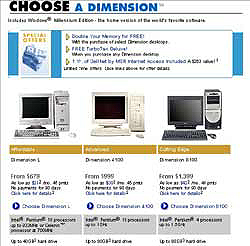 ), the customer can pick and choose between all twenty of these, resulting in a computer that is customized to that particular customers needs. Not bad, right? Apply this to sneakers, clothes, vitamins, cosmetics, and cars and were really in business now. At Nikes site, you can choose from a handful of upppers and a handful of soles to make your own personal combination. As if that were not enough, you even get to have your name (or any other word you want) embroidered on the back of each sneaker. 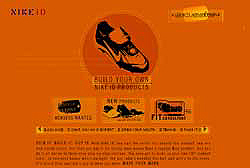 Or, go to the more independent site customatix and completely design your own shoes using up to three billion trillion combinations of colors, graphics, logos and materials. In Paris, Luc Besniers Reflex agency plans to market the DUCATIREFLEX FFWD, the first custom-made motorcycle sold direct on line. 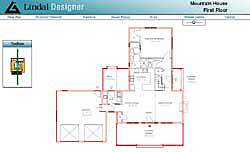 On their site you will be able you can see, try (thanks to videos) and buy this unique design. After placing an order the future owner can follow step by step, via e-mail, the construction of the bike in the Chartres REFLEX shop. Once the bike is finished, it is delivered directly to the customer. Global Customization Services Limited created IDtown in 1999 to let consumers choose from a large variety of wristwatches without having to "flip through thousands of pages before making a decision." The site now offers more than 300 billion choices of guaranteed watches, a whole range that you can shape yourself to achieve the perfect fit of comfort, appearance, and price. 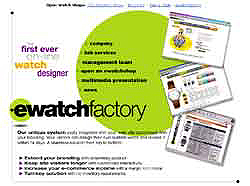 The ewatchfactory not only has customizable watches, but offers their services to incorporate on your own web- site, letting you customize the customizable service with your own branding. Lindal Cedar Homes manufactures custom cedar homes and sunrooms to your on-line specifications, providing custom floor-plans and tools to help you plan the space with any of your furniture. The homes, with lifetime structural warranty, can be chosen from endless possibilities, from classic to contemporary models. They even have a building cam to view the buildings progress. Even on-line diversions are becoming customizable: at sodaplay you can design your own flash toy. While some customizable products seem interesting and useful and others do not, the question is raised of what really can be mass customized? Where will the limits of technology and customer demand stop? You can already order the Lindal house from a series of pop down menus and toolbars displaying choices, will the rest of the real estate market follow suit? Soon, you can get the customized French motorcycle, will we one day order our own cars from the Internet with headlights, seats and body frame that we chose? Will buying a washing machine be similar to buying a Dell computer? While many would argue that the answer is probably, and that the sites Ive listed are only the tip of the iceberg, one thing that remains true. No matter how advanced the technology and possibilities go, there will always be some quantity of products that are simple made one way in one size for all interested customers. This is true for several reasons including that people love to shop in stores, always have and always will. Some products (like a computer) will have so many different permutations, it will be impossible for a company to offer all of them in a retail setting. Another strike against mass customization is the fact that some folks dont want choices. Customizing products will not only put more demand on the consumer to take part of process, it may even be off-putting to some. Designers alike will likely take issue with wanting their products to go on the market untouched and unscathed (imagine if someone chose a square headlight option on the VW bug, or asked for an iMac in matte back). Yet, despite the obstacles, it is clear that Mass Customization and the products that can be customized will grow over the year. What does that mean for consumers? More choices, more interactive shopping and more personalized Nike sneakers (as long as the proposed personalization doesn't slander their "perspiration parlors"! ).